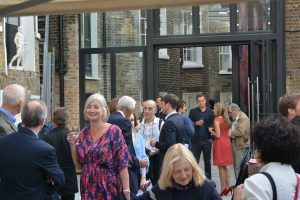 The Art School celebrated the achievements of its 2018 graduating MA Fine Art and MA Conservation students in a Prize-Giving and Celebration event that took place on Monday 10 September, and was followed by the MA Show Private View. 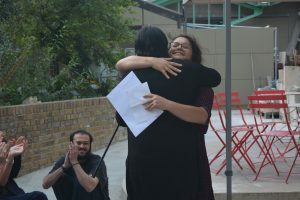 Tamiko O’Brien, Art School Principal, opened the ceremony with a congratulatory address to the graduands and was followed by Senior Fine Art Tutors, Teresita Dennis and Andy Bannister, who presented the MA certificates. 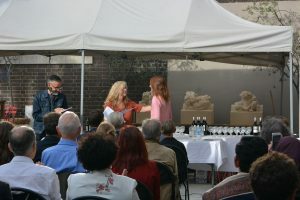 After entertaining graduand addresses from Flora Malpas and Ubada Muti, the 2018 awards and prizes were presented by Director of the Art School Property Trust, Magnus von Wistinghausen. 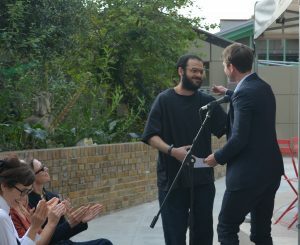 Artist Wendy Smith presented the Tony Carter Award, created in memory of her late husband, with a heart-felt speech that was warmly received, and she was followed by Thomas Groves, Head of Art Histories, presenting the Prize For Outstanding Critical Engagement and Kimberley Ahmet, Senior Manager, Artists’ Collecting Society, presenting the coveted ACS Studio Award to Natanya Barrett. 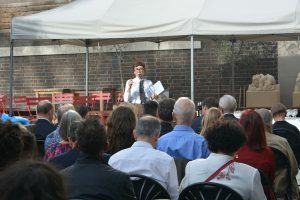 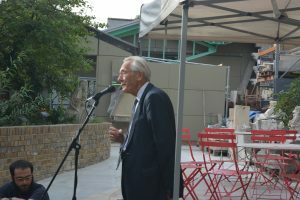 The ceremony finished with closing remarks from the Chair of CGLAS Trustees, Robin Holland-Martin, and the evening progressed with a bustling Private View. 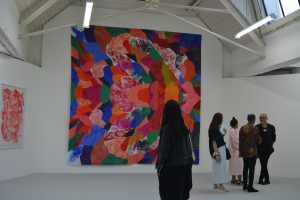 The MA Show remained open until Sunday 16 September, with a steady flow of visitors coming to admire the outstanding range of work on display. 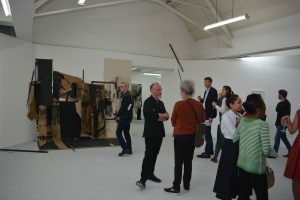 As well as featuring the work of MA Fine Art and MA Conservation students, the MA Show included exhibits from the Art School’s four artists in residence: John Greenwood; Katie Pratt; Jamie Shovlin; Takumi Kato. 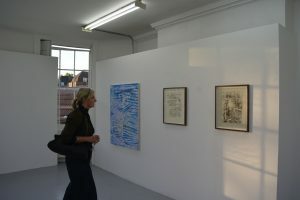 The work of our Fellows in Printmaking, Woodworking and Decorative Surfaces and MA Fine Art Year 1 (interim show) also featured.